I really cant have sambhar, rasam and curd for lunch all 7 days of a week. It makes the though of lunch so boring and exhaustive. I am a person who craves for variety and wouldn't mind anything to break the monotony. oops I can hear my MIL saying "as if you eat so much". Yup I am a quality food person and not a quantity food person. aahaa which just means that I love variety but eat just too less. 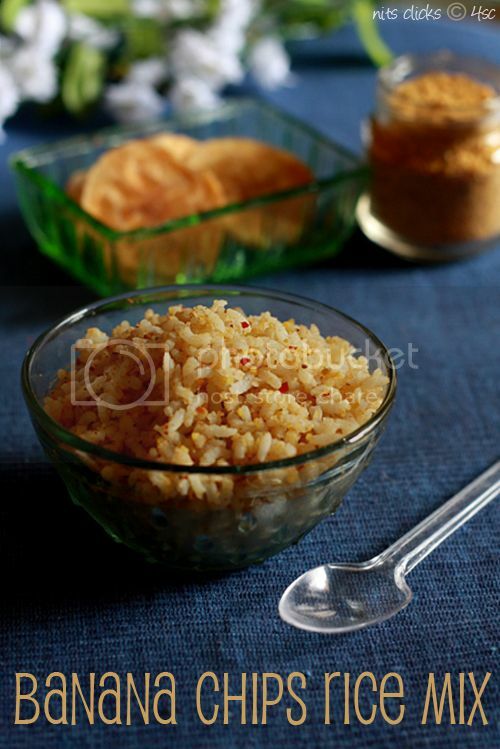 In a dry pan roast the 3 dhalls, jeera, red chillies and the curry leaves separately, one followed by the other. Take a tsp of oil in pan and fry the garlic pods. Now add all this to the mixie along with the banana chips and salt and powder it coarsely. 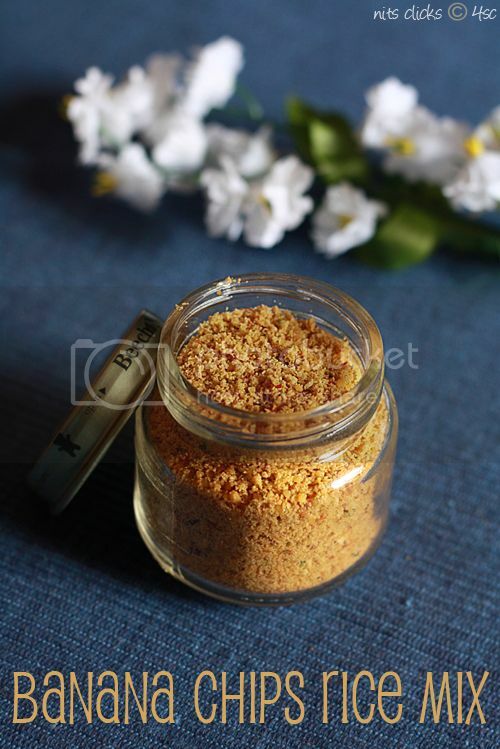 Try to make the podi just before use. 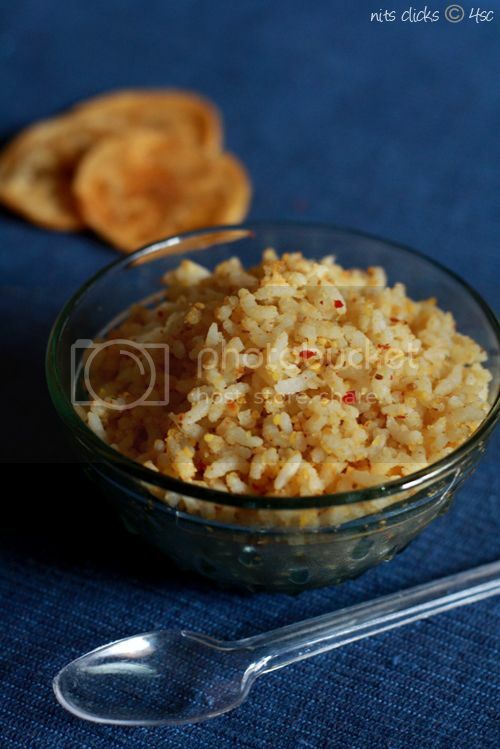 The chips gives a crispy texture to the podi which will not be the same if stored and used. Woww... Lovely recipe.. looks awesome !! 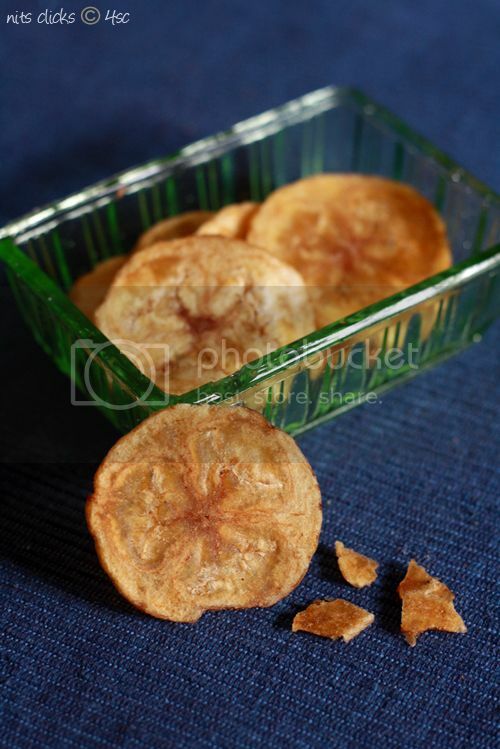 Nice clicks :) and great recipe!! those chips look really yummmmm..made me hungry! Unique and interesting idea. Looks delicious..
Chips Rice looks AAAwesome !!! mmmm..... looks yummy. Never heard this before. Will try this out. Wow- I need to try this one ASAP. I love most podis! Truly time tested time savers! Delicious and inviting looking banana chips with rice. Quite an interesting rice mix, cant wait to try them. Wow it is very amazing post. Thanks for your great efforts. Multiple health benefits of banana gives good energy and strength to our body. Really Nice and informative post for everyone. If you want to stay health and cure to yourself for diseases so follow this post. Buy cheap generic viagra online. Nice blog thanks for sharing this blog. Wow! These look delicious. Love this recipe. I am going to make this ASAP.